On the menu this Christmas: eat, drink, repeat. Can’t wait for the turn of December? (the lights! The gatherings! An excuse to eat!) Us too, which is why you can bet that we’ll want to make the most of it. 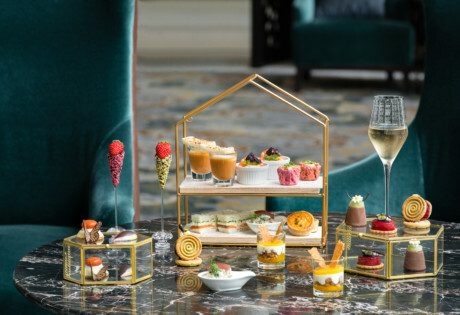 This festive season, Andaz Singapore promises a month of gastronomy and a feast for the eyes with sweeping panoramic views of the Kampong Glam, Little India and the city beyond. If we had it our way, we’d have turkey and all the trimmings all year round. 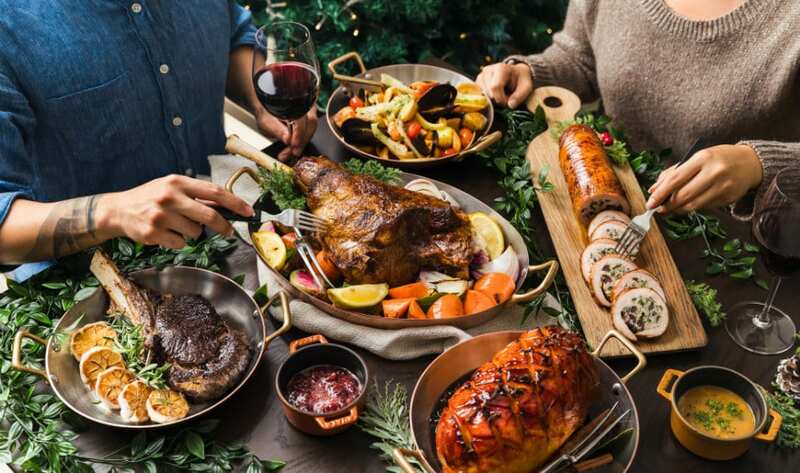 This premium steakhouse knows what’s up, and wants to build up the anticipation to Christmas by offering a three-course festive dinner menu from 1-26 December. 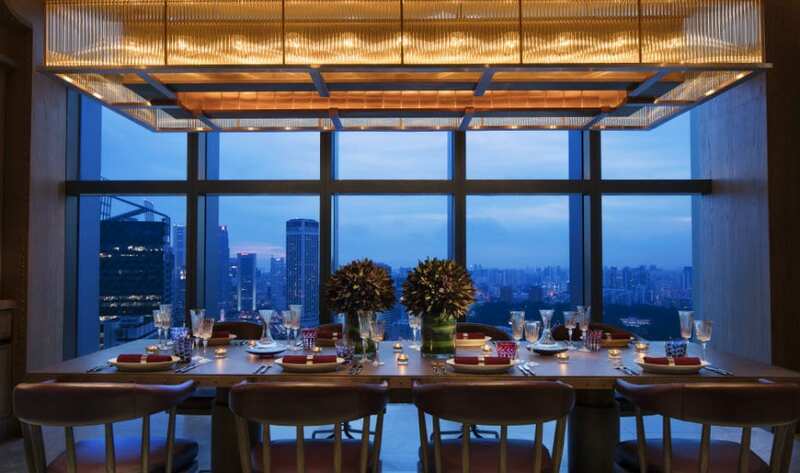 For romantic dinners for two or intimate family gatherings, this cosy steakhouse gets our vote with its sleek, modern decor and floor-to-ceiling glass walls (better to admire the view from the 38th floor). Known for halal-certified prime cuts of meat and sustainable seafood dishes, this December you get to choose between six delicious dishes crafted by head chef Josephine Loke for your starter, main and dessert at just $98. We prefer to keep things classic, and would plump for the butternut squash veloute, turkey roast supreme with chestnut stuffing and Christmas cake topped with gingerbread crumble and vanilla ice cream. This is the one time you don’t need to exercise restraint. Christmas means excess, and excess means a buffet. Alley on 25, which typically serves refined street food across its five-restaurant concept, takes its buffet spoils so seriously that wearing loose clothing is a must because you’re going to want to try it all. 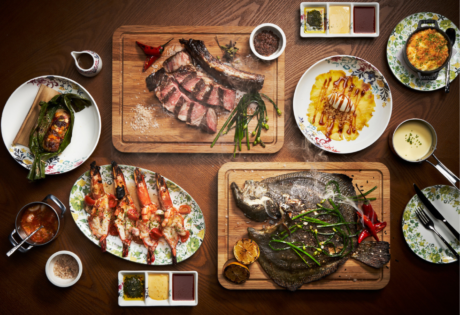 Wolf down your meal in Alley’s shophouse-inspired decor, making your way through the smorgasbord of meats to satisfy the carnivores of the family, including prime rib, slow roasted lamb shoulder and glazed kurobuta ham. 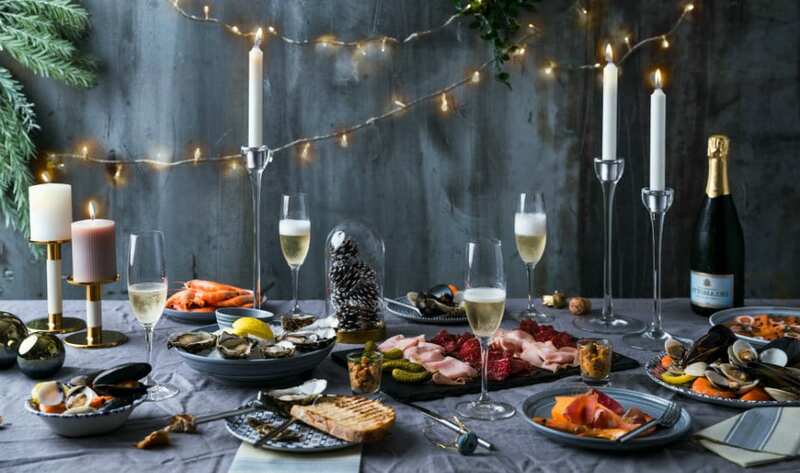 The catch of the sea encompasses oysters, Australian mussels and tuna tartare, and you can wash it all down with festive drinks like eggnog, mulled wine, and of course, Champagne and wine. The best bit: the drinks are free-flow, and at $158 per adult, this Christmas meal is a steal. The Christmas Eve Dinner buffet takes place between 6 to 10pm on 24 December, and the Christmas Day Lunch buffet between 12 to 2.30pm on 25 December. It’s a sweet vantage point away from the crowds of people below. New Year’s Eve isn’t complete without fireworks and booze, which you’ll get plenty of both at Mr Stork, a rooftop bar and garden with Instagrammable teepee huts nestled amidst foliage. The views from the 39th floor are already impressive on a regular evening, but factor in the customary fireworks display on New Year’s Eve, and this becomes a technicolour spectacle (plus you’re so high up, there won’t be any pesky buildings to ruin your vantage point or photo). The party starts at 9pm with free-flow hot nibbles (crowd pleasers like nachos and crispy chicken wings), wines and ale for $188. 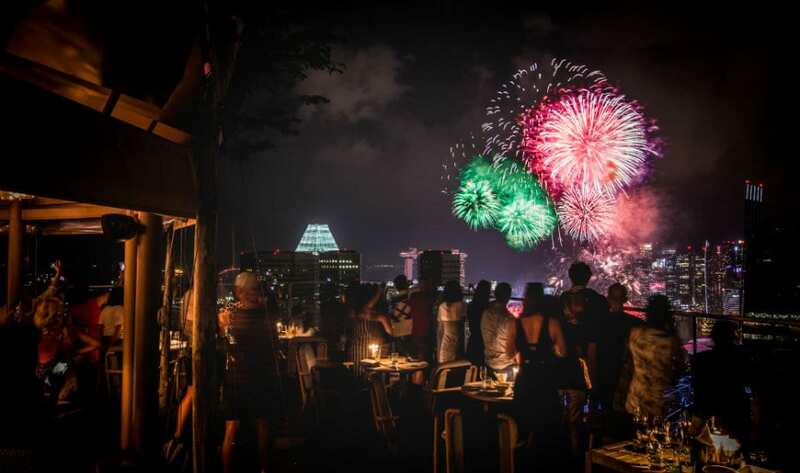 If you were lucky enough to nab a VIP ticket before they speedily sold out, you’ve scored a prime seat to view the fireworks and free-flow Delamotte Champagne. Regular tickets are still available, so you’ll want to get clicking. The bar’s usually tranquil vibe gets hit with beats spun by DJ Jagi and The Partyman, to keep the toes tapping until midnight and beyond. The Rooftop DJ party takes place between 9pm – 1am on 31 December. Tickets are on sale at andazshop.oddle.me. 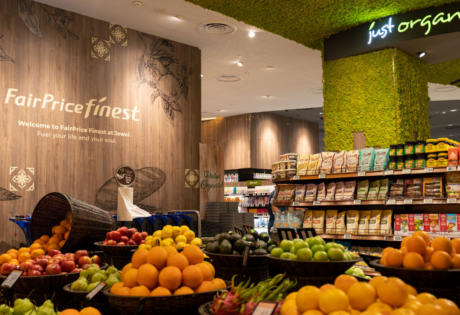 This article is sponsored by Andaz Singapore.